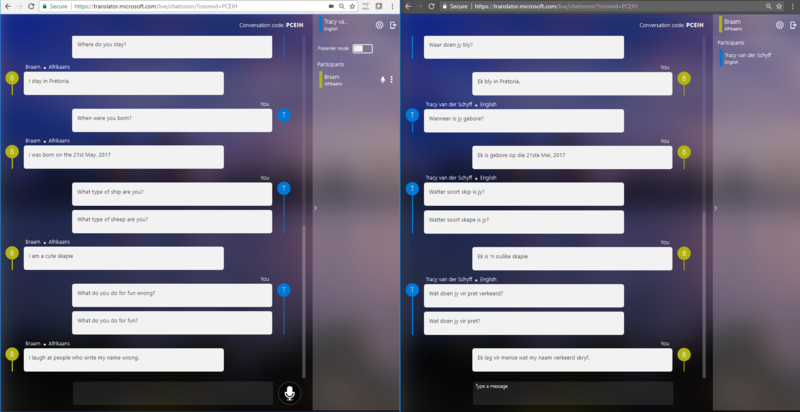 #Microsoft365 – I just had so much fun testing the Microsoft Translator with Braam. 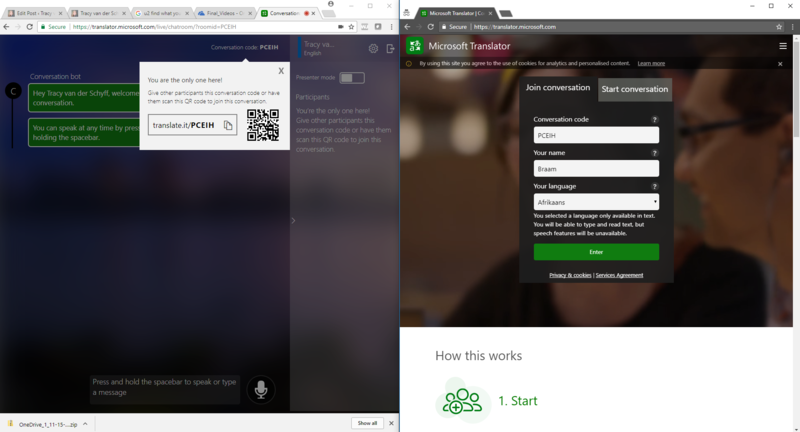 Microsoft Translator is a tool that helps us overcome the language barrier. It allows for speech and text translations. Conversation is what caught my eye and I decided to try it out. 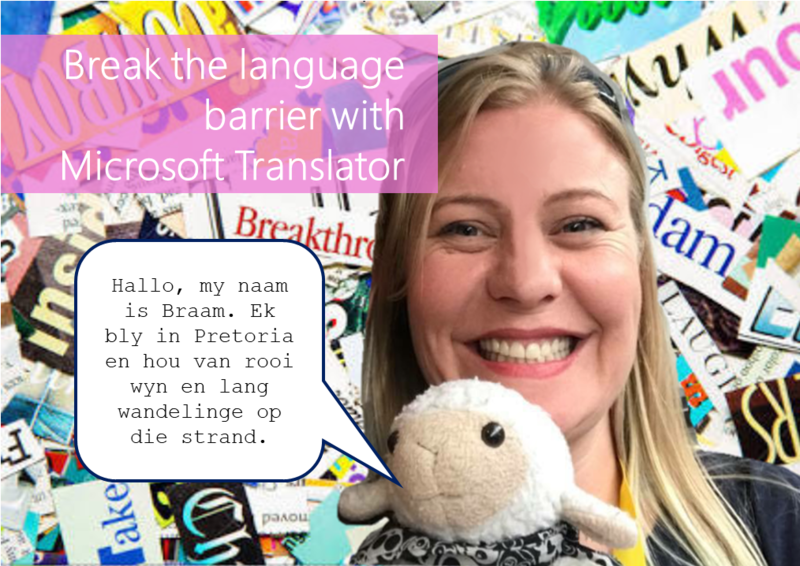 You’ll receive a QR Code / Code to share with the other participant – in this case I shared it with Braam – my pet sheep, and he chose to communicate in Afrikaans. Translator didn’t do well with my “Braam” pronunciation which kept coming out as “wrong”, but in the end – I must say – this is a pretty cool tool to use. I would love to try this out with someone who actually speaks a completely different language to me – any takers? Comment on this post and we’ll set something up. Enjoy! Time to make some new friends – now that language isn’t so much of a problem anymore.